The European Commission issued its proposal for a new accounting Directive at the end of 2010, aimed at substituting the Directives currently in force and applicable to limited companies – the 4th and 7th Directives for company regulation. This article is intended to present a critical examination of such a proposal. It presents an initial evaluation as to the overall adequacy of the proposal as issued, versus the legislative objectives set up as goals by the Commission. In particular, it takes into consideration the set of accounting rules proposed as to their capacity to satisfy the legislative objectives in a reasonably exhaustive manner. This involves an in-depth evaluation of the actual progress made by the Commission in the arena of the accounting Directives, as well as identifying the gaps still present and the further corrective actions that appear necessary to fully realize the objectives set forth. Andrei P. (2008), Fair value: significatività e attendibilità dell’informativa di bilancio, Riv. it. rag. ec. az., pp. 595-610. ASB (2012), Comment letter. Available at www.esma.europa.eu. (Accessed September 9, 2012). Assirevi (2012), Comment letter. Available at www.esma.europa.eu. (Accessed September 9, 2012). Barth M. (2004), Fair Values and Financial Statements Volatility, in Borio C., Hunter W.C, Kaufman G.G., Tsatsaronis K. (Eds). The Market Discipline Across Countries and Industries. (Cambridge: MIT Press). Brennan N., Gray S.J. (2005), The Impact of Materiality, Asian Academy of Management Journal of Accounting and Finance, pp. 1-31. Calandro E. (2010), The IASB exposure draft on the impairment of financial asset: a final solution or the prelude of the next credit crunch?, Riv. dott. comm., pp. 725-734. Camfferman K, Zeff A.S. (2007), Financial Reporting and Global Capital Markets. (Oxford: OUP). Deloitte (2012), Comment letter. Available at www.esma.europa.eu. (Accessed September 9, 2012). Di Pietra R. (2005), La comunicazione dei comportamenti aziendali mediante i dati contabili (Padua: Cedam). EFRAG (2012 a), Comment letter. Available at www.esma.europa.eu. [Accessed June 10, 2012]. EFRAG (2012 b), Discussion Paper, BCUCC. Avalaible at www.efrag.org (Accessed September 9, 2012). European Commission (2008), Communication to the Council, the European Paliament and Social Committee and the Committee of the Regions – “Think Small First” – A “Small Business Act” for Europe. Available at www.eur-lex.europa.eu [Accessed September 9, 2012]. European Commission (2009), Proposal for a Directive of the European Parliament and of the Council amending Council Directive 78/660/EEC on the annual accounts of certain types of companies as regards micro-entities. Available at www.eur-lex.europa.eu. (Accessed September 9, 2012). European Commission (2010), Communication to the Council, the European Parliament and Social Committee and the Committee of the Regions – “Smart Regulation in the European Union”. Available at eur-lex.europa.eu. (Accessed September 9, 2012). European Commission (2011 a), Communication to the Council, the European Parliament and Social Committee and the Committee of the Regions – “Think Small First” – A “Small Business Act” for Europe. Available at www.eur-lex.europa.eu. [Accessed September 9, 2012]. European Commission (2011 b), Report on the responses received to the consultation of accounting regulatory committee members on the use of options within the accounting Directives. Available at eur-lex.europa.eu. (Accessed September 9, 2012). European Commission (2011 c), Proposal for a Directive of the European Parliament and of the Council on the annual financial statements, consolidated financial statements and related reports of certain types of undertakings. Available at www.eurlex. europa.eu. (Accessed September 9, 2012]. European Commission (2011 d), Commission Staff. Working Paper. Impact Assessment. Available at www.eur-lex.europa.eu. [Accessed September 9, 2012). European Parliament (2008), Resolution on accounting requirements as regards small and medium-sized companies, particularly micro-entities. OJ 2010/C 45 E/10. European Parliament and Council (2012), Directive 2012/6/EU amending Council Directive 78/660/ECC on the annual accounts of certain types of companies as regards micro-entities. OJ 2012/L81/3. FASB (2007), Financial Instruments with Characteristics of Equity, Preliminary Views, available at www.fasb.org. (Accessed September 9, 2012). FEE (2012), Comment letter. Available at esma.europa.eu. (Accessed September 9, 2012). Fortunato S. (2012), Inquadramento sistematico del principio “substance over form”, in Gallo F., Scognamiglio G. (eds), Il principio substance over form. (Milan: Giuffrè). Hooijer J. (2011), Speech, Congress: “evento celebrativo del decennale dell’OIC” forthcoming. Huerta De Soto J.M. (2009), Financial Crisis: the Failure of Accounting Reform. 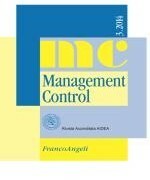 Working paper, Available at www.mises.org (Accessed September 9, 2012). Huang P.H. (2005), Moody Investing and the Supreme Court: Rethinking the Materiality of Information and the Reasonableness of Investors, Supreme Court Economic Review, pp. 99-131. ICAEW (2008), Guidance on Materiality in Financial Reporting by UK Entities, Technical Release, pp. 1-8. Jiménez G., Saurina J. (2006), Credit cycles, credit risk, and prudential regulation, International Journal of Central Banking, pp. 65-98 . Juma’h A.H. (2009), The Implications of Materiality Concept on Accounting Practices and Decision Making. Inter Metro Business Journal, pp. 22-37. KPMG (2012), Comment letter. Available at www.esma.europa.eu. (Accessed September 9, 2012). Laghi E. (2006), L’armonizzazione contabile via IAS/IFRS. (Turin: Giappichelli). Laghi E., Giornetti A. (2009), La “prevalenza della sostanza sulla forma” nella redazione del bilancio, in Abuso del diritto in campo tributario. (Rome: Fondazione Telos). Matherat S. (2008), Fair value accounting and financial stability: challenges and dynamics, Financial Stability Review, (12), pp. 53-63. Mc Ewen R.A., Mazza C.R., Hunton J.E. (2008), Effects of Managerial Discretion in Fair Value Accounting Regulation and Motivational Incentives to ‘Go Along’ with Management on Analysts’ Expectations and Judgments, Journal of Behavourial Finance, pp. 240-251. Nobes C.W. (1983), A judgmental International classification of financial reporting practices, Journal of Business Research, pp. 173-187. Nobes C.W. (2006), The survival of international differences under IFRS: towards a research agenda, Accounting and Business Research, pp. 233-245. Nobes C., Parker R. (2008), Comparative International Accounting. (Harlow: Pearson Education Limited). Onesti T. (1996), ‘Fattori ambientali’ e comportamenti contabili. (Turin: Giappichelli). Potito L., Tartaglia Polcini P. (2010), I principi contabili internazionali: riflessioni critiche, Riv. dott. Comm., pp. 255- 273. PriceWaterHouse (2012), Comment letter. Available at www.esma.europa.eu. (Accessed September 9, 2012). Quagli A. (2009), Dal fair value al fairy value: coerenza concettuale e condizioni di impiego del fair value negli IFRS, Financial Reporting, pp. 94-118. Roberts C., Weetman P., Gordon P. (2005), International Financial Accounting: A Comparative Approach. (Harlow: Pearson Education Limited). Tafuro A. (2011), The fair value accounting for the usefulness of financial information. (Rome: Rirea). Venuti M. (2010), Measuring Company Income Tax on the basis of the IAS/IFRS, British Tax Review, pp. 361-375. Venuti M. (2011), I crediti e l’informativa di bilancio. (Milan: Rirea). Zanda G. (2007), Il bilancio delle società (Turin: Giappichelli).